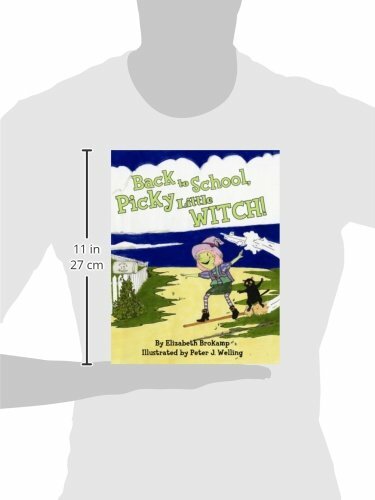 Back to School, Picky Little Witch! Broomsticks, cauldrons, and wands-oh my! 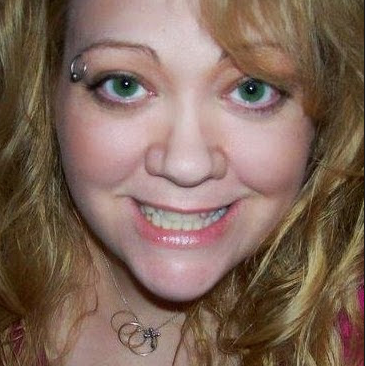 Join Mama Witch and the Picky Little Witch as they travel to Witches R' Us for "Back to Ghoul" supplies. The choosy daughter and practical mother find it difficult to agree on capes, shoes, brooms, and more. Charming wordplay, bewitching rhymes, and spirited illustrations make this humorous story about compromise fun for all. 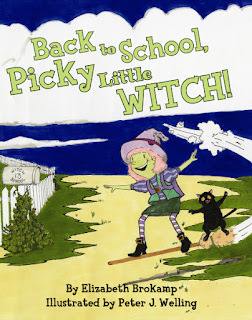 Having 2 new readers in the house, I was so happy to get this delightful children's book titled: Back to School, Picky Little Witch! With 2 little girls, our family can relate to this book. Each time anyone sits with the girls and we read or they read it to us, we all laugh. I think this story fits well with grade K-3 and is written with humor that young kids and adults can enjoy. Our 3 year old laughs like a hyena and repeats the silly wordplay, which makes us all laugh even more. This is a fun book that teaches compromise. If you have a child in this age range, who decidedly knows exactly what they want, just because, you know just what I mean. I think the illustrations add a lot to the story and have our girls talking about each picture on each page from beginning to end. I think this book would make a great gift for young elementary school age children and a nice addition to any child's book collection.